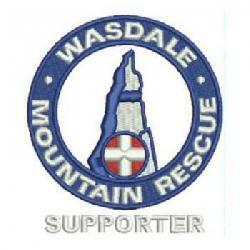 Team called by Police about a couple of walkers reporting themselves lost / benighted on Scafell Pike. Phone contact was difficult due to poor signal but they were able to pass on coordinates from their iPhone which placed them just below Stand Crag on the corridor route. Due the communication problems a small team went out to help guide them back to the Seathwaite path and they then made their own way off the mountain.